Here’s monetary reformer Bill Still on an important monetary court case victory in Canada by COMER (the Committee for Monetary and Economic Reform), concerning the power of the federal and provincial governments to borrow money from the Bank of Canada interest-free (or effectively interest-free, by the federal government receiving the Bank’s profits). Great news, indeed, and very important, since cases like this are usually thrown out due to standing issues, with the bogus claim by judges that the petitioners aren’t eligible to have their case heard due to reasons like not being directly affected, etc. And unlike a direct constitutional challenge, they are actually pointing to a statute, which is very important, since the court can’t say that it’s just the petitioners’ interpretation of the constitution, but it’s right there as active law because unfortunately these judges and lawyers have been trained to treat statutes more seriously than plain-meaning interpretations of the Constitution itself. What I do wonder is how they can force the government to get loans from the Bank of Canada, and also how they can be made interest-free, since the provision just mentions loans, but not the interest rate, and of course the banksters will not want them to be interest-free. But there is a nice way that the loans become effectively interest-free if the federal government does the borrowing, since the government is the sole shareholder of the Bank, and all profits return to the government. For my interview with Bill Still about his documentary, Jekyll Island, see here. Except that the Second Amendment granted no rights, and only affirmed existing rights, including the right of self-defense. 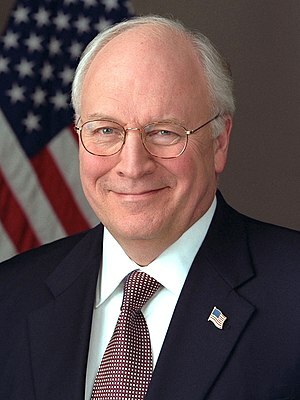 Further demonstrating his willful ignorance, given that he repeatedly swore an oath to uphold the Constitution, Cheney fails to realize that the sole purpose of the Second Amendment is to recognize the existing right to keep and bear arms as a bullwark against government tyranny, which is why the right to keep and bear arms is mentioned in connection with a well regulated militia.